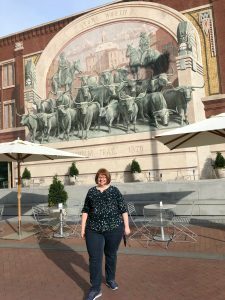 I’m just back from a wonderful trip to Fort Worth, Texas for the National Association of Productivity & Organizing Professionals 2019 Annual Conference. About 500 professionals gathered to hear the latest trends in the productivity and organizing industry, to sharpen our skills and get some top notch educational content, and to network and connect with each other. For the past couple of years, I have been volunteering on the Conference planning committee, and it has given me a great opportunity to help shape the program and get to know colleagues from around the country. And, I have the honor of serving as the NAPO 2020 Conference Chair! First of all, the location was a pleasant surprise! Fort Worth is a city rich in history, with an up-and-coming cultural scene. We had some great dinners, and I toured the funky Fort Worth Water Gardens, the lovely Fort Worth Botanic Garden, and the Cultural District. We had a number of awesome breakout sessions. I enjoyed topics on leadership, resiliency, communication and research trends. I learned a lot about how personality styles can affect productivity. 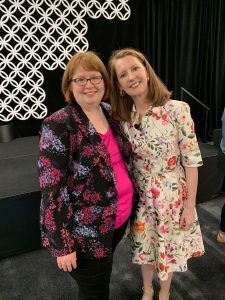 One of my favorite concepts was to harness “the power of yet.” My colleagues Lisa Luken and Laurie Malloy had a great session on confidence and growth mindsets for leadership, and this was my favorite takeaway from that talk. Instead of saying to yourself, “I can’t do that,” re-frame it to “I can’t do that YET.” It gives you the room to work towards a goal instead of having limiting beliefs. When evaluating clothing, use the “Ex Factor.” If spotted on the street by an ex, would you want to be seen in the outfit? Try a “power hour” each day to stay on top of daily tasks and routines. Why not “store it at the store” and not bring it home in the first place! Limit impulsive online shopping by using a guest profile at checkout. This forces you to re-enter your billing information each time, offering additional time to reflect and make sure you really want and need the items that you’re shopping for. Overall it was one of the best conferences I’ve attended, and I have a tough act to follow in planning for NAPO2020 next year in Orlando!